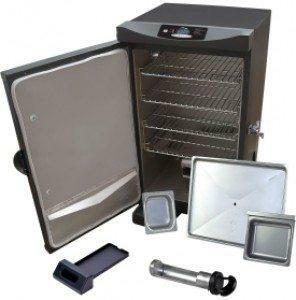 The Masterbuilt 20070213 30 Inch Electric Smoker is a true set it and forget it smoker that is fairly priced and has plenty of options to make smoking your favorite meats simple. It works off electricity, and is easy to use as you just load in your favorite woods chips, set the temperature and time, load your meat on the racks, and walk away and return when the time is up. One of the benefits to an electric smoker is the cleanup is minimal and the heat stays at a consistent level when picking your cooking temperature. 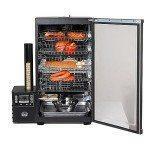 The Masterbuilt 20070213 Electric Smoker provides 4 smoking racks for a total of 730 Square Inches of cooking space. 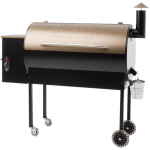 Fully insulated, front access drip pan, easy to read digital controls, and new smooth operating wood chip loading system, this smoker is a great product for the price. The blue LED display on the digital controller makes it easy to view the temperature and time in both daylight and nighttime hours. The controller has easy to push buttons where you choose your temperature and cooking times. The cooking temperatures range from 100 degrees to 275 degrees which is optimal smoking temperature. There is also a button to turn on the internal light and for a meat probe to display the internal meat temperature (these options do not come with this model). 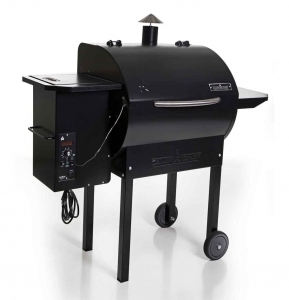 The Masterbuilt 20070213 has 4 cooking racks which are easily slid out if you wish to make more space for smoking larger meats. The four racks provide you 700 square inches of cooking space which means you can smoke enough food for a large gathering with no problem. The Masterbuilt 20070213 has an easy slide out front end drip tray for easy grease disposal. To load your wood smoking chips, you just load them into the side loader. 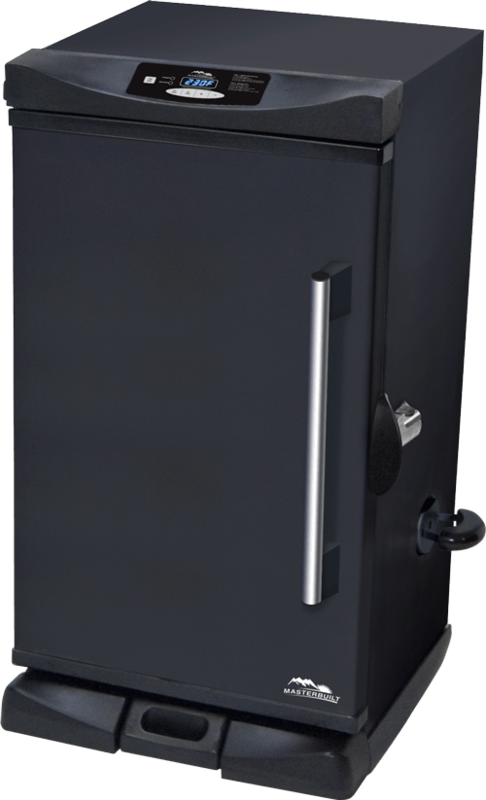 This is convientient because you don’t have to open the smoker when reloading wood chips, eliminating the hassle of losing any heat. It is also completely insulated so the cooking temperature is very consistent. Dimensions (inches) 20.4L x 19.9W x 33.3H Weight 45.86 lbs.